Matthew is a PhD candidate with the ICON Science Lab at RMIT University. Matthew’s research can be broadly categorised as conservation psychology. He is currently working on a range of research projects including evaluating the social dimensions of private land conservation, biodiversity footprint analysis, conservation behaviour change and predictive modelling of human behaviour. Additionally, Matthew co-leads the website keeptothepath.com, which aims to make research about human behaviour more accessible to all who are interested in applying it to promote nature conservation. 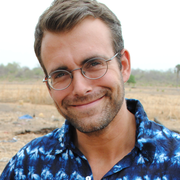 Previously, Matthew worked in forest and prairie restoration projects in Minnesota and New York, and managed a protected area in West Africa, focused on primate conservation. He received his undergraduate degree from the University of Minnesota College of Natural Resources and his MSc from Imperial College London. His research is supported by RMIT University, the Australian Research Council’s Centre of Excellence for Environmental Decisions, and the Australian Government’s National Environmental Science Program’s Threatened Species Hub.